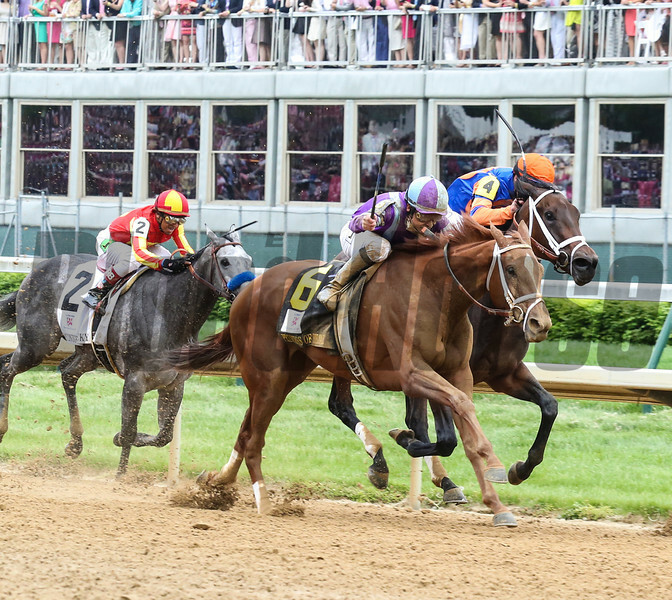 Princess of Sylmar and jockey Mike Smith roars past Beholder in the lane to win the Longines Kentucky Oaks (gr. I) May 3 at Churchill Downs. At 38-1, she's the second highest-priced winner in Oaks history.